This isn't the sort of book I would usually go for but it was one of the choices for the Mirror Book Club and I thought I'd give it a go. I don't know why I ever decide to read coming-of-age novels. It definitely turns out that they're not my sort of thing! 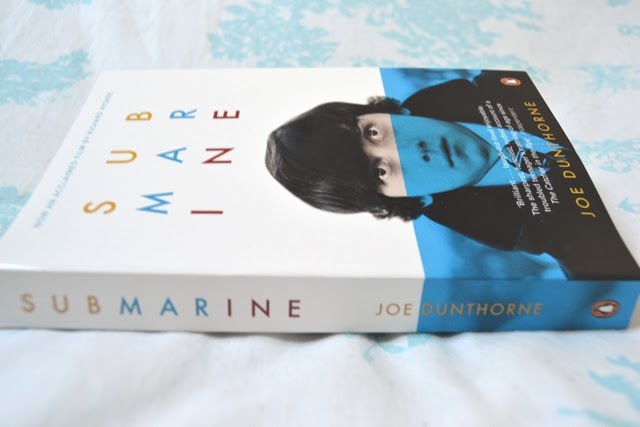 Submarine is narrated by an eloquent, eccentric and rather self-absorbed teenager named Oliver. He discovers that his mum is having an affair and sets out to fix his parents' marriage, whilst dealing with his own love woes. Again, the narrator is ridiculously verbose for his age. 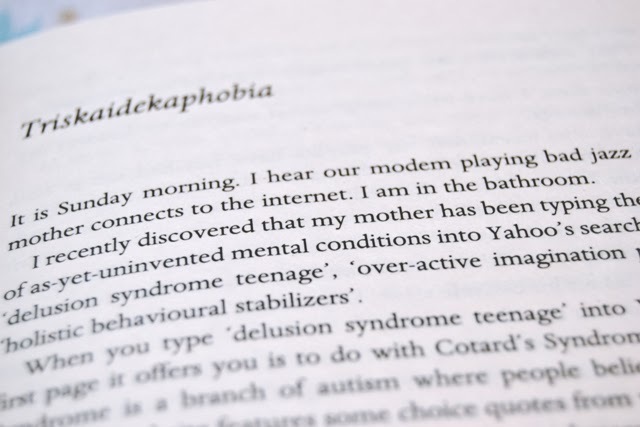 It's starting to annoy me that so many books are narrated by teenagers with the vocabulary of a middle aged professor. He is such an unbelievable character, especially in terms of his actions. He takes a bus for an hour to break into the home of his mother's lover (what's the male term for mistress?) and curl up in his bed to wait for him to return after work. Who would actually do that? The girls in the novel were also hard to relate to. Jordana, Oliver's girlfriend, gives off the impression of being a little simple and rough around the edges and yet she also has the odd eloquent moment. Then there's Zoe, the chubby-turned-slim girl who was bullied to the point of leaving school by Oliver and Jordana. The way she leads him on seems very simplistic and just leads her to become a very confusing character. Ultimately, every character in the novel was unlikeable and the events were just unbelievable. An annoying book that just left me feeling irritated. But then maybe you'd be surprised by how good some teenagers can actually write. Why can't he be intelligent enough to use that language? And at the point where you thought 'who would do that' well, in reality maybe no one. But it's fiction! It's like watching a horror film and saying 'that would never happen' Of course it might not in real life but when else can it if it can't happen in a story? I haven't read the book but I have watched the film and I agree with you about Jordanna being hard to relate to, she's kind of annoying as well. I didn't really like the film but I want to read the book one day! This is interesting because I'm fine with magic and stuff in Harry Potter but when it's set in the real world, I'm just like "THAT WOULDN'T HAPPEN"
I've never read the book, so I can't judge. 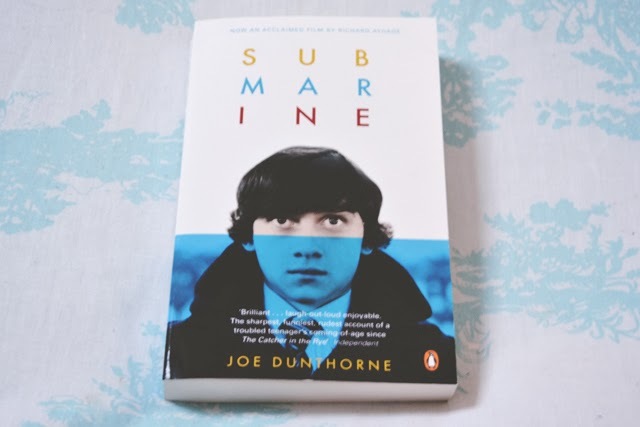 But I can talk about the film: Submarine is my all time favourite film. The camera work is very clever - and it's just a cleverly produced film generally. The soundtrack actually fits the movie and is done by one artist, which you don't see a lot. I also find Oliver doesn't come across as too advanced in the movie - more of a normal teenager with relate-able thoughts! Also in the film, the story line between the mother and the ex is much more understandable and believable. I'm really intrigued to read the book now though.. I watched it based on your comment! I loved the camerawork but I still couldn't get past the story line. I just don't like the story, unfortunately. I love your honest reviews! I would've been drawn to this book on the cover alone :) Yeah- what is up with teenagers talking so grown up in books and tv?? I know! It bothers me so much! Haha I think you're right! Haha Friends quotes are always relevant! After watching the film I was definitely put off of reading the book. While the film was ok, none of the characters were likeable and the ending was such a let down. The film is actually better than the book. Only slightly, but still! I loved The Fault in Our Stars but their vocabulary was insane!